Unique "H" Frame All-Welded Steel Backbone: Heavy-gague steel frames are notched and welded at intersection points and to the top deck itself, creating unyielding strength and unbending durability for years of rugged use. The thicker steel sides are rolled to retain strength (not stamped) and welded along both top and bottom edges for maximum support and rigidity. Thicker Front Skid Plates: The front line of abuse, our skid plates, are made of heavier gauge steel than all others in this class and fully welded along the edge and built to absorb years of jarring abuse. Geared For Speed: The 50HP or 75HP heavy-duty Omni gearbox drives the blade tip at ripping fast speeds, the fastest you'll find anywhere! Available with slip or pin clutch. 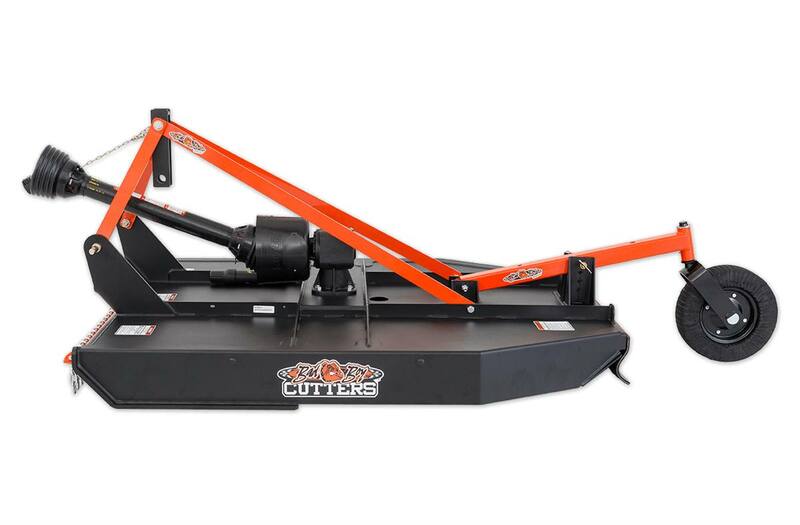 Single Pin Height Adjustment: Built to better withstand the weight of the tractor when clearing through troughs and dips, the heavy-gauge 2" x 2" steel tube rear wheel arm is also the heaviest-duty in this class of rotary cutter. On-The-Go-Know: Instruction and parts manual is handy where ever you go for those times when you need to know. 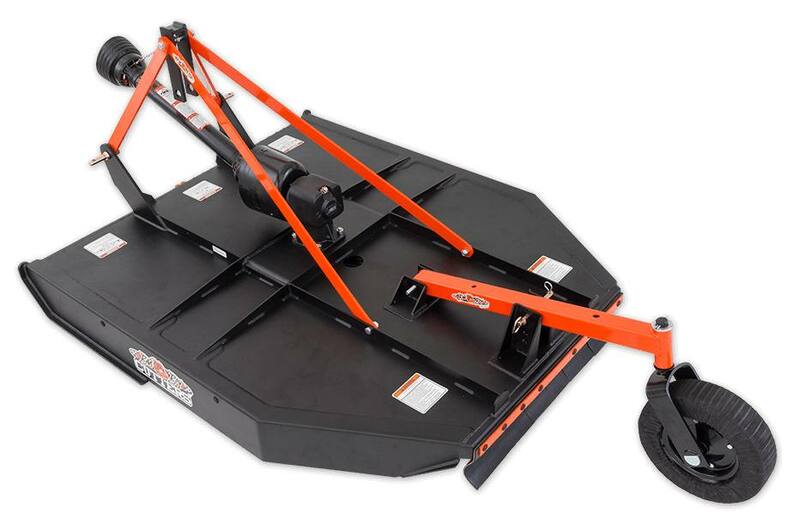 Store Smarter: Rear tail wheel is easily positioned to save room for storing during off-season months. Under-decking Support: 1/4" x 6 1/2"